“Stressful and exciting at the same time,” said one home buyer. “Like going through a pregnancy,” said another. Though buying a house has long been considered an integral part of the American Dream, it can be frustrating, fatiguing, scary, and wonderfully exciting at the same time. 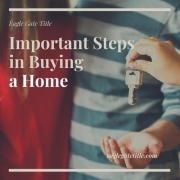 This article presents some important steps in buying a home. Hopefully, it will prepare you a little and make the process of buying your house a bit easier. Decide if you really want to buy a house and why. If you’re married or in a long-term, committed relationship, be sure your partner agrees that home ownership will meet your goals better than renting. If your spouse believes long-term renting is better, ask for the reasons. This conversation may be eye-opening to your spouse’s real plans and desires. Your partner may not be aware of the benefits of home ownership: building equity, tax savings, raising credit score, making the place your own to suit your fancy, your hobbies, family gatherings, etc. When you own a home, you can make it a refuge from the distractions and stresses of the world. You can turn it into a soft place to fall for your children. Granted, an atmosphere of love and acceptance is more important than how comfortable your couches and chairs are. Certainly, there are times when renting is advisable over purchasing, such as during an unstable real estate market, unsure job situation, where you want to grow roots, money savings, interest rates, and level of commitments to the relationship. So, if you like your job, want to put down some roots, have some money saved, and are committed to your partner no matter what, then set the goal to buy a house together. Once you’ve decided that buying a house is right for you, determine your price range, and start looking. Look in areas where you want your kids to go to school and play with neighbors. Check the distance and safety of the commute to work. Does it bother you to drive 40 minutes through lots of intersections? Is it important for your health that your commute can be a walk or bicycle ride? Can you take public transit to and from work? Buses and trains remove the stress of driving and many of the risks, too. Expenses? Yeah, public transportation will save you money. After setting your price range and areas where you’d like to live, choose a real estate agent, or use online resources to look for Fisbos. “For Sale By Owner” houses may save you the commission fees, but they transfer more of the headache of negotiation and paperwork to you. Not everyone is up to that, so asking a real estate agent to help you is recommended. Talk to a few agents, and ask them how long they’ve been in the profession. Ask what type of houses they have sold. If they’ve sold only million-dollar homes, and you want one that costs $100,000, you’re better off with another agent. You want someone who considers your business important and worth their time. Ask what their commission rates are and how they look for houses for you. A very important step in buying a home is making an offer. When you and spouse have agreed on a good house for you, ask your agent for input. You don’t have to offer what the agent says; you can “low-ball” it if you want. If the seller replies with, “No way!” you can always come back with a stronger offer. If the seller is motivated to sell, they’ll counter with a price they’re comfortable with. At this point, it’s a game of who wants it more. Do you want that house so badly that you’re willing to pay top dollar for it, or do you have two or three houses in mind that you’d be happy with? Does your seller want to sell the house so badly that they’ll discount it? If you convey that you don’t want that house THAT BAD, you’ll get a lower price. Your agent will help you with negotiation. Choose a reputable title company which has your interests in mind. A title company protects you during the purchase transaction. A good company will insure the money transactions are correctly done, and they’ll make sure there are no outstanding liens on the property. You don’t want to buy a house, only to find out later that someone else has a claim to part of its value. 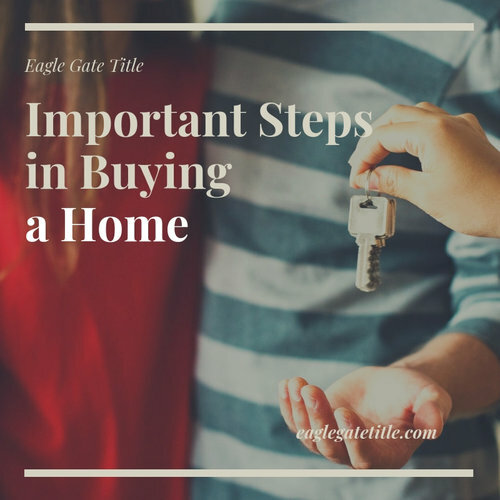 This is critical in the important steps in buying a home. Happy Hunting!